Since last May, David Kleidermacher has been Google's security chief in charge of keeping Android, Google Play and the Chrome operating system secure. With today's release of Google's annual security report, Kleidermacher says that Android is just as secure as its competition. While Android's top cop might have been playing coy for the media, it was obvious that he was talking about iOS. According to the newly issued report, "Android security made a significant leap forward in 2017 and many of our protections now lead the industry." In this era of alternative facts and fake news, you might not feel that you can trust something said directly from the horse's mouth. Anticipating this, Google points out that even third-party data reveals the strides made by Google in the area of security. Of course, making an Android phone secure does require the user to use some common sense. For example, Google says that Android devices that download apps only from the Google Play Store are 9 times less likely to install a Potentially Harmful Application (PHA) than a device that sideloads apps. In addition, Android powered devices that have Google Play services installed are guarded by Google Play Protect, which is a scanning system used to find PHAs on the device itself, in data and embedded inside apps. With this technology, you can also find a lost Android device, have protection from "deceptive websites," and take advantage of "systems that detect and remove PHAs." Google says that the annual probability of downloading a PHA from Google Play was cut in half from 2016's .04% to last year's .02%. This means that for Android users, the odds of downloading a PHA from Google Play are smaller than the odds of an asteroid hitting the earth. 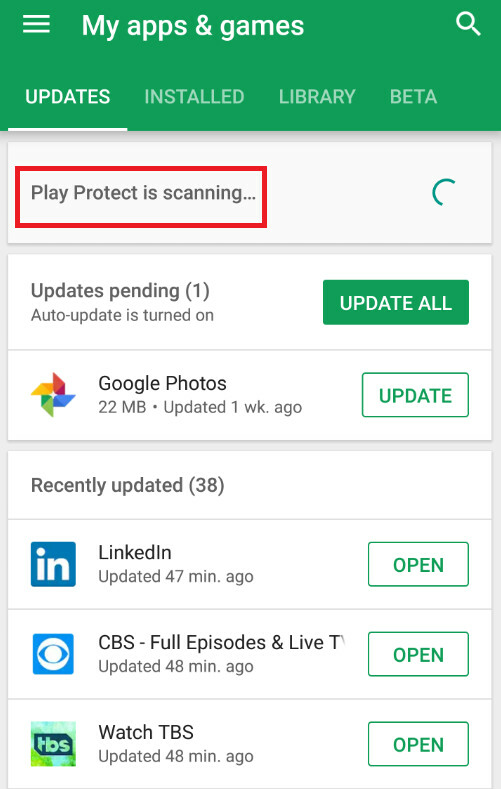 Last year, Google says that daily scanning from Google Play Protect helped remove 39 million PHAs from approximately 1 million devices. It's not a single thing that makes the iPhone more secure, it's a combination of things that work in concert which is what security is all about. It's a combination of the hardware and software plus the quickness of patching the software once a flaw is discover and how fast it's available to the end users. If you only do part of this then you are not doing enough. I get a software patch once a month with my pixel. How often do your iphones get patched? Why patch something that doesn’t need a patch? Android does that on flagship devices already, which is all that IPhones is, flagship devices. Now that Project Treble is being supported on all devices launching with Oreo, it's only going to get even better. Things are looking great for Android, as Google has massively stepped up their security game on their front, and now Project Treble is going to further improve it for Android overall. Android is already really secure as it is. Sure, the cheaper devices won't all be as frequently patches, but that depends a lot on the brand. Some of them are still quite good with regular patches, while some aren't. You aren't good to get flagship level service on most cheaper phones, but is not exactly surprisingly, as they're much cheaper. FYI: Samsung has the most secure phones out of everyone, as they have military grade security in the form of their knox security. There is a reason they were heralded as the most secure phones several years in a row. At its core and especially in flagships yes android is equally secure however there are budget android phones that certainly aren't. Anyone who believes iphones are secure is simply naive. I don't know whether iOS is secure or not. I just know I haven't faced a single security issue on an iOS device in the past 8 years. I haven't had one security problem on my Android for the last 9 years. I already guessed someone would feel insecure enough to mention how much secure Android is, even though I didn't write anything negative about it. Thank you for proving me right! I haven’t by far seen anyone on my surrounding facing any security issue on android devices till date. See post no. 31. Then tell me, why do you even feel the need to mention how secure Android is? I didn't say iOS was more secure. Exactly Apple does a lot of updates to fix hacks ot potential hacks. How is it not secure? In which country do you live? & why aren’t you able to buy paid apps? Yeah, wasn't Samsung's knox rated the most secure out of all smartphones ever since it's implementation in Samsung smartphones? I'm pretty sure it was. Several years in a row. If anyone was actually ever affected by any mobile vulnerability in any meaningful way, this would actually be important stuff to talk about. I don't know, I know both platforms are flawed, but it seems like Apple has more articles posted about it and its serious exploits.